ACTION! 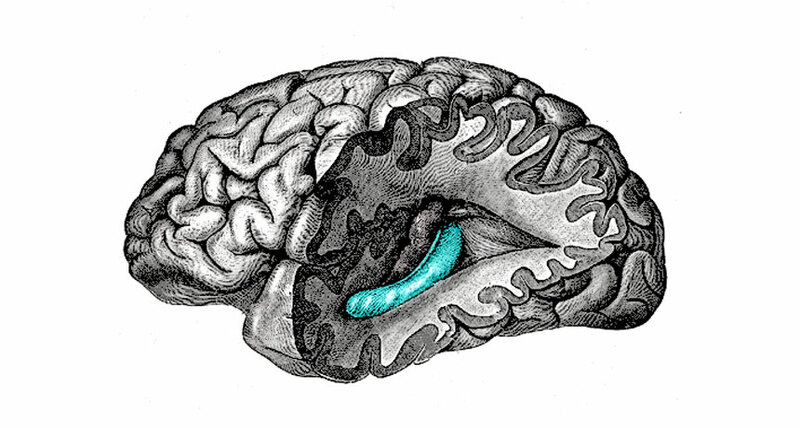 In a new study, the hippocampus (blue) was active during parts of films times when one event ended and another began. That boundary-marking may help the brain package continuous experiences into discrete memories. The brain's hippocampi may be the film editors of our lives, slicing our continuous experiences into discrete cuts that can be stored away as memories. That's the idea raised by a new study that analyzed brain scan data from people watching films such as “Forrest Gump.” "Research like this helps us identify 'What is an event, from the point of view of the brain?'" says memory psychologist Gabriel Radvansky of the University of Notre Dame in Indiana. Many laboratory tests of memory involve taking in discrete, dull lists of information. "So much research is done with these little bits and pieces - words, pictures, things like that," Radvansky says. But those dry tidbits aren't what the human brain usually handles. "The mind is built to deal with complex events." As a closer approximation to real life, researchers used brain imaging data collected earlier as part of a larger project: While undergoing a functional MRI, 15 people watched "Forrest Gump," and 253 people watched Alfred Hitchcock's television drama "Bang! You're Dead." A separate group of 16 observers watched each of the productions and pressed buttons to indicate when they thought one event ended and another began. With the data in hand, cognitive neuroscientists Aya Ben-Yakov and Rik Henson, both of the University of Cambridge, aligned participants' brain activity with the transition points marked by the 16 observers. A brain structure called the hippocampus, known to be important for memory and navigation, seemed particularly active at these junctures, the team reports October 8 in the Journal of Neuroscience. When the researchers looked at hippocampus behavior over the entire shows, the brain structure was most active when the observers had indicated a shift from one event to another. That response "was actually quite striking," Ben-Yakov says. "I wasn't expecting it to be this strong and this clear." These transitions didn't always involve jumps to new places or times in the story. One such boundary came near the beginning of "Forrest Gump" as Forrest sits quietly on a bench. Suddenly, he blurts out his famous greeting: "Hello. My name's Forrest. Forrest Gump." The hippocampus may have helped slice that continuous bench scene into two events: before talking and after talking. Such divisions may help package information into discrete pieces that can then be stored as memories, the researchers suspect. Of course, films only approximate firsthand experiences, Ben-Yakov says. It's not clear how the hippocampus behaves when people are personally involved in events. "Our goal is to understand real life," she says.